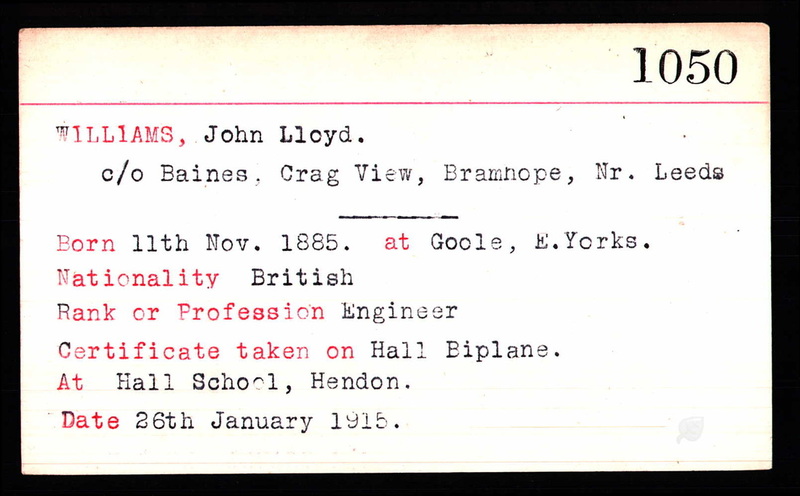 John Lloyd Williams was born in Goole in 1885. ​In 1915 he was awarded his Royal Aero Club Aviator's Certificate following an examination flight at Hall School, Hendon, taken in a Hall Biplane. 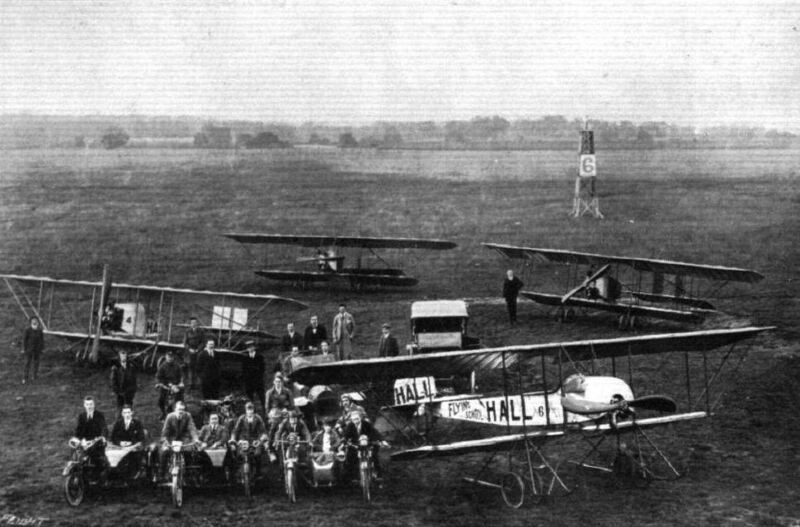 The picture above shows a number of pupils and machines of the Hall Flying School. Mr. Hall is standing in front of machine No. 4, on the right of the propeller. This image is from the website, "Their Flying Machines" (http://flyingmachines.ru/Site2/Crafts/Craft29021.htm).